Referred to us by a satisfied customer, Cobalt Design, Nitin is an insurance professional with over 14 years of experience who wanted to start his own brokerage firm called Orion IB. 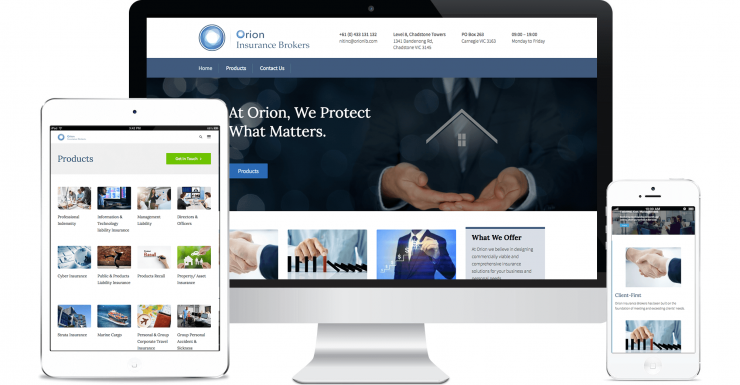 Leveraging on Nitin’s extensive market and product knowledge, Orion IB specializes in Property and Asset Protection, Professional Liability, Information and Technology Liability, Management Liability, Directors and Officers, and Cyber Insurance. Nitin engaged the WDM team for his branding (including Logo Design and Stationary Design) as well as Web Design and Development, built on Wordpress. We aimed to kickstart his new business with a solid online foundation by embedding Nitin’s vision into every step of the branding and development. The final result is a modern, professional website imbued with a sense of trust and authority necessary for the industry.